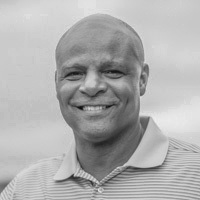 Warren Moon is the President and Co-Founder of Sports 1 Marketing where he cultivates unique and lucrative business opportunities for corporate brands, elite athletes, and strategic partners. Many only know Warren Moon as the NFL Hall of Fame Quarterback, but Warren is much more. Utilizing his fame and experiences to emphasize the importance of giving back, he created The Crescent Moon Foundation in 1989. The foundation is dedicated to providing support for educational pursuits that will benefit children most in need who have displayed a commitment to their community, as well as other charitable causes surrounding under-privileged children. In addition to his own foundation, Warren sits on several non-profit boards including the Rose Bowl Foundation and St. Jude Children’s Research Hospital.